Shawntae Cameron-Tibbs is a case manager at Frankl & Kominsky Law Firm. 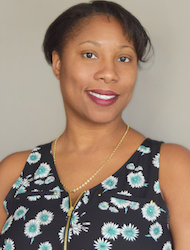 Shawntae is responsible in assisting in the management of a an active injury case, as well as overseeing the general procession of a legal case to ensure relevant elements are collected, maintained and organized. Along with her responsibilities, Shawntae takes pride in providing excellent and quality services to all of Frankl & Kominsky clients. Shawntae admires Frankl & Kominsky’s legal team and loves the diversity within the firm, “I absolutely love the working dynamics between the legal staff and the attorneys” Shawntae proudly states. When she is not working, Shawntae loves to spend quality time with her family, have meaningful conversations with others, and enjoy the simple, laughable moments in life, without the distractions of smart phones and television.